The 15th season of NCIS (yes, the 15th) will soon come to an end. 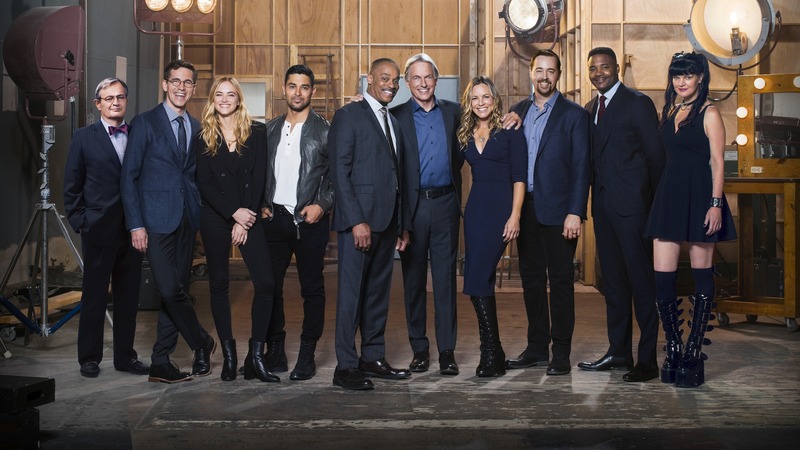 For fans who still adore the series, they’ll be happy to know the CBS drama is returning for Season 16 — and with Mark Harmon in tow. Even though it’s been renewed, NCIS needs to end after Season 16. Before fans who still adore the series get upset, let’s be clear: we don’t hate the procedural. It still has a lot of great elements, like Mark Harmon as Gibbs, the wit and humor of the show as a whole and that feeling of comfort many get while watching. NCIS does feel like home. You always know what you’re going to get when you tune in. However, since Michael Weatherly exited the series as Tony DiNozzo in Season 13, it hasn’t been the same. It was hard enough when we had to say goodbye to Cote de Pablo (Ziva David), but when Weatherly announced his departure, it was like a punch to the gut. From that moment on, the show lost some of its oomph. Between the new characters and the fresh stories, NCIS really hasn’t felt like NCIS anymore. The drama has lost steam it built up over past seasons, and it doesn’t seem like it will ever get back to what it was and what made us excited for a new episode. And now, with Pauley Perrette, our beloved Abby Sciuto, gone, where does the show go from here? For us? The best solution would be for Season 16 to be the show’s last — and to use this opportunity to go out with a bang, rather than dragging things out for years to come. And, believe us when we say we don’t like writing about how we want NCIS to end. It saddens us to realize that we don’t enjoy it as much as we once did, but sometimes good things should come to an end — before they turn bad. And with that, here just a few of the reasons we think NCIS needs to take its final bow come spring 2019. Here’s who remains from the original cast, when NCIS premiered in 2003 (though two of them were only recurring characters at first): Harmon (Gibbs), Sean Murray (McGee), Brian Dietzen (Palmer — yes, he was in Season 1) and David McCallum (Ducky), although he only shows up from time to time these days. That’s it. Four characters. That’s how much NCIS has changed. Series are constantly evolving and characters developing, because if they didn’t, there wouldn’t be much point in tuning in. But NCIS has changed too much in terms of characters. There are a lot of new characters, who, frankly, are just OK. They aren’t as special as the original cast. We don’t feel as connected to them as we did to those who’ve left and to those OG characters still standing. NCIS is known for introducing fresh faces, but it hasn’t been easy warming up to all the new additions from the past several years. It’s taken a while to get to know this new mix of people and figure out if we even like them. Reeves (Duane Henry, who exited the series in Abby’s final episode), Torres (Wilmer Valderrama), Sloane (Maria Bello), Quinn (Jennifer Esposito, who left after Season 14) — it’s been a lot to digest. When you don’t feel like you connect with certain characters, what’s the point? A TV show is all about the characters — and ones you relate to. When it comes to TV, a series should always know when to say “enough is enough.” Some of the best shows have only had a few seasons: Orphan Black was five, and Downton Abbey was only six. There are even rumors that Jane the Virgin will end with Season 5. As devastating as that would be, because the CW series is phenomenal, a show ending when it’s at its peak isn’t a bad thing. It seems like NCIS has gone past its high note, though it could possibly still be saved if Season 16 were done correctly and CBS decided to pull the plug. Seeing as NCIS does so well and still has many loyal viewers, who knows if ending it is even a possibility. Do you remember the days when you couldn’t get enough of NCIS? You just had to watch to see what ridiculous prank Tony would play on McGee, if Tiva was finally going to kiss, if Gibbs was going to get caught for murdering the man who killed his wife and daughter or that one overall gripping storyline you just had to tune in for. Those were the good old days. Now? Well, NCIS just doesn’t have the same spark. It doesn’t hold our attention like it used to. We only half-watch some episodes because, well, they can be kind of boring. We even put off watching sometimes, since it almost seems like work to get through certain episodes. Admittedly, some of Season 15’s episodes were good, like the episode when McGee’s twins were born. But the episodes are really hit or miss, which isn’t the NCIS we know and love. We haven’t even said, “This season is so good!” in a really long time. Back in the day, every season was good, and that just isn’t the case anymore. Without Abby, there are only two main female characters: Bishop (Emily Wickersham) and Sloane. Compare that to the six other main characters who are men: Gibbs, McGee, Vance, Ducky, Palmer and Torres. Of course, this could change, and let’s hope it does. We aren’t trying to hate on the men at all, because we especially love us some Gibbs, but it’s ridiculous that there aren’t more women in a permanent capacity. We miss the days when it was Ziva, Abby and Jenny (Lauren Holly). Three was better than two, especially since Jenny was the director of NCIS and calling most of the shots. Even making Delilah (Margo Harshman) a series regular would be a massive improvement. Not having more of a female perspective really impacts a show. The loss of Abby is going to have a huge effect. Both Perrette and Abby inspired women of all ages to follow their STEM dreams. We need more women telling women’s stories. Does NCIS tell a lot of their stories? Yes, but it would be nice if there were more main female characters telling them. If NCIS is going to let the men rule the show and not cast more women, then it should just stop after Season 16. In a time when women are at the forefront and taking the world even more by storm, they deserve to be at the front and center of NCIS. The day we have to say goodbye to NCIS will be a sad one, for sure, but we’d rather part ways sooner rather than later, while we can still enjoy what we’re seeing onscreen.